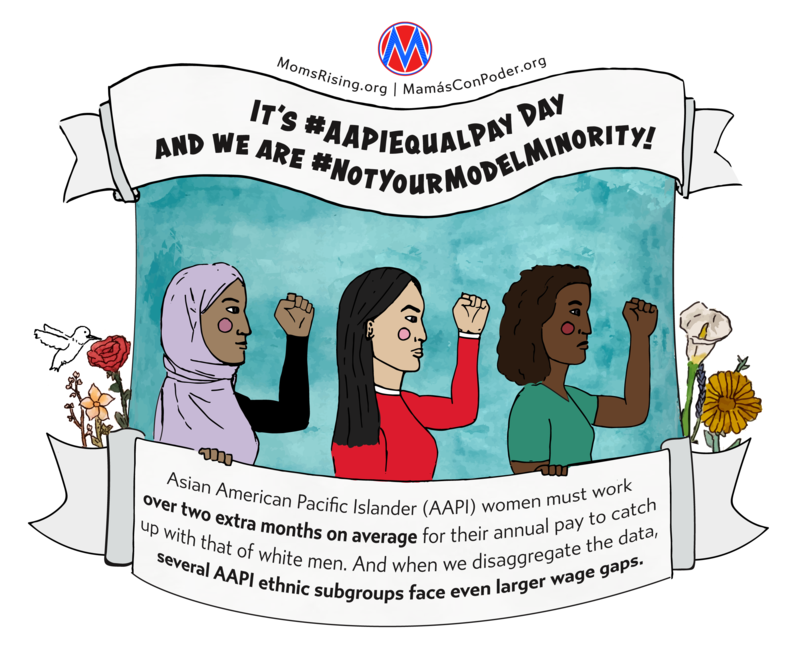 MomsRising.org | Take Action on AAPI Women's Equal Pay Day! Take Action on AAPI Women's Equal Pay Day! Today is the first Equal Pay Day of the year -- Asian American Pacific Islander (AAPI) women’s equal pay day, marking how far into 2019 that AAPI women have to work on average to make what white men made in 2018 alone. Over two months of unpaid work? No thanks. >>> Call on your members of Congress to support the Paycheck Fairness Act this AAPI Equal Pay Day! Please support the Paycheck Fairness Act and work to pass it swiftly!